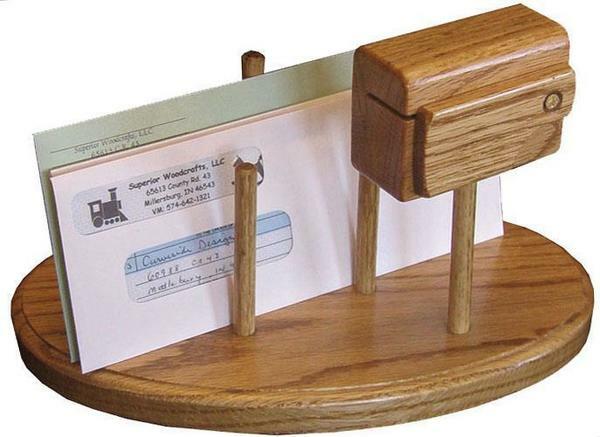 The charming Amish Hardwood Mailbox Stamp Dispenser Letter Holder ensures that your incoming and outgoing mail will never get lost! This solid wood holder is available in solid oak or cherry wood. Keep this handy holder on your kitchen table, hallway table, sofa table or hutch. The solid wood pegs keep mail tucked in and upright to keep important letters from getting covered on the counter! The solid wood stamp dispenser is in the shape of a mailbox adding to the charm of this piece. Take a look at our collection of Amish Baskets and Crates for more items to help keep you organized while adding attractive handcrafted accent to the room. Call toll-free 866-272-6773 with any questions. 10.75" x 7" x 6.5"